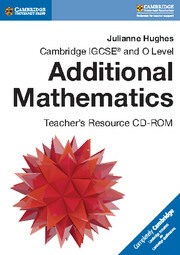 The Cambridge IGCSE® and O Level Additional Mathematics Teacher's Resource CD-ROM has been authored alongside the Cambridge IGCSE® and O Level Additional Mathematics Coursebook and Practice Book to help provide teachers with support while teaching the syllabuses (0606/4037). 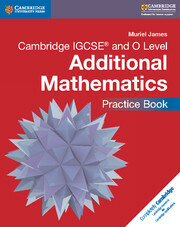 Highly detailed teaching notes and suggested lesson plans are provided along with a wide range of PowerPoint presentations that can be used, and answers to the Coursebook and Practice Books. 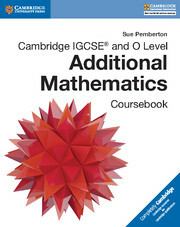 Detailed lesson notes to support teachers. Supplementary worksheets that can be used to support and challenge students.